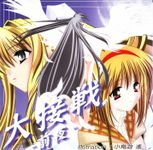 A fantasy platform adventure game featuring the anime character Ayu. They cried for eternity, unable to go home. Because they wanted another one to smile.